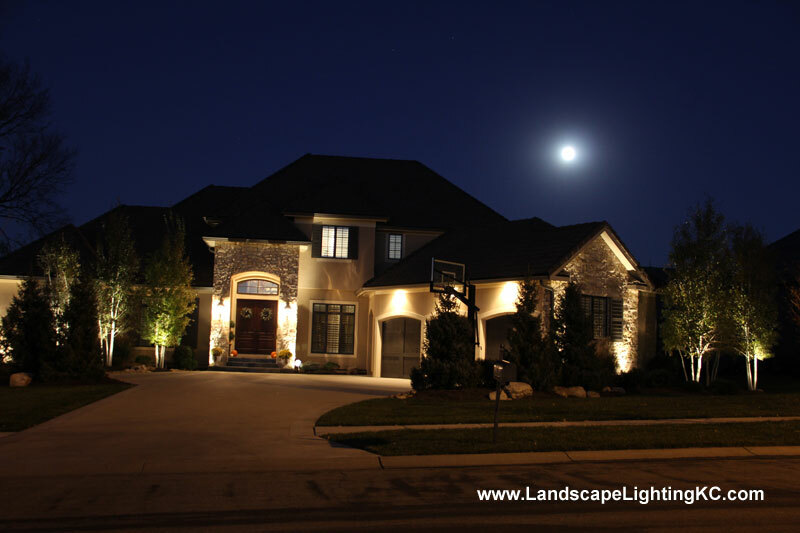 Landscape Lighting KC can make your home look its best at night! We have been installing and maintaining professional landscape lighting systems in Kansas City since 2004. We are a division of Moonlight Decks LLC (Deck Lighting). Call us at (913) 725-0965 for an estimate. Be sure to check out our Photo Gallery! We have some amazing pictures! And also check out our Facebook Page and Google+ page. 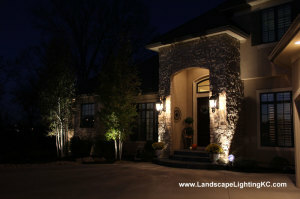 Landscape Lighting KC has been Kansas City’s premier source for residential exterior lighting installation since 2004. In addition to providing professional installation of a broad range of lighting options, we also offer repair and maintenance services. Contact us for a free estimate! 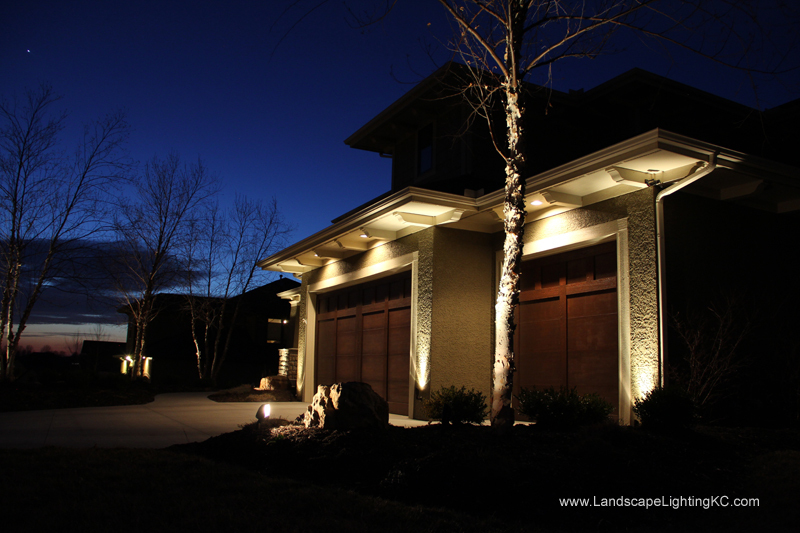 Landscape Lighting KC can make your home look its best at night! Our company has been installing and maintaining professional landscape lighting in Kansas City since 2004. We install professional grade landscape lighting fixtures, bulbs and transformers, and deck lighting from our parent company, Moonlight Decks LLC. We also provide repair and maintenance services for just about any system, including brands from local hardware stores. We don’t require you to use our lights, and we are flexible about meeting your wants and needs when it comes to your lighting and your budget. Want us to use your old wire and transformer? No problem, as long as it is in good working condition. Just need someone to replace a few bulbs or figure out why they won’t light up? We can do that, too! We are a full service exterior lighting company based in Kansas City, serving clients throughout Johnson City and the surrounding areas. We’ve been a locally owned and operated small business since 2004. We’re a local division of Moonlight Decks LLC, and are proud to use our parent company’s fine products. We specialize in installations, but also offer repair and maintenance services. Our rates are extremely competitive, and we’re happy to provide free estimates. **We use LEDs in the lights. You’ll save time and money in the long run. And the LEDs have a 5 year warranty! *Professional transformers with a 5 year warranty and a timer and photocell built in are $235. **Or we can use the Hardware store brand for about $200. **Maintenance issues are billed at $65 per hour + materials. 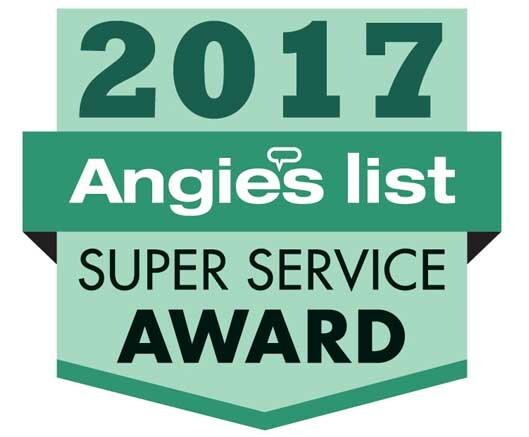 Call Steve Hodes Jr for a free estimate at (913) 725-0965 or use our easy contact us form. *Right now we are not taking any repair jobs until September or October. Meet with me for a few minutes and hopefully you’ll know that I am an honest person who believes in doing things right the first time. I’m too small as a company to have to come back to repair poor craftsmanship. And no one would refer me to their friends and family if I did a poor job. My prices are higher than some, and lower than others, but you will definitely get what you pay for. 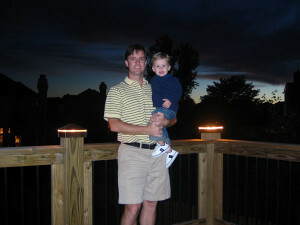 I’ve been installing landscape lights in Kansas City since 2004. I have a keen eye for light balance, symmetry, and what I think will look best for your home.